Its a one of kind GEM.... Its as good as a beautiful writers cottage with most serene Garden, great 2 bed and 1 bath with washer and dryer in the unit. Its quiet yet you are literally in the middle of the action. In the heart of Boston. Walk everywhere. Literally. Half a block from Boston Ballet, steps from Back Bay Station, Tremont street restaurant and much more. Provided fully furnished with kitchen utensils and everything you need. Nestled blocks from Tremont St Restaurants on one side, to Back Bay Station and Prudential and Copley mall on other side, you can't be in a more wonderful location than this. 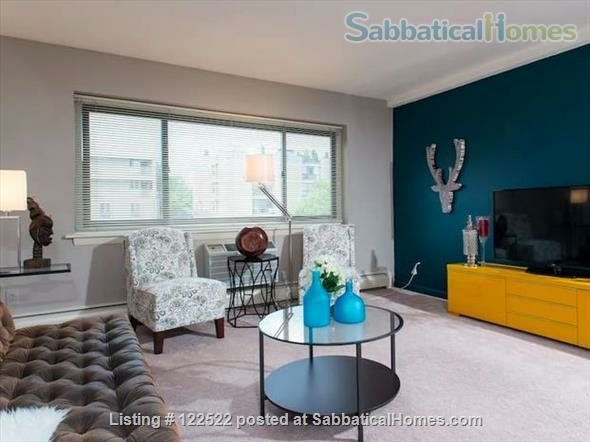 Beautiful 2 bedroom 1 bath apartment. Absolutely gorgeous. Its first floor and parlor floor that opens into a gorgeous garden. The owners have put in so much love into making this home as is. Looking to entertain warm, friendly & considerate guests. We are particular about whom we host, so kindly send a detailed message. Utilities are paid by the tenants- heat, electricity, internet. They are minimal costs. We will provide our unit professionally cleaned. When you leave, you must use our professional cleaners and give the apartment back to us the same way we gave you. Move in Costs are: 1st month, Last Month and Security Deposit. For July and August we will consider monthly rental at 5400 per month.